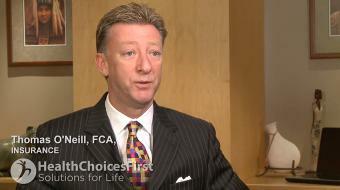 Thomas O'Neill, FCA, discusses term life insurance. Term Life Insurance Thomas O'Neill, FCA, discusses term life insurance. 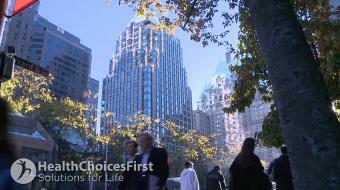 Term insurance is usually the cheapest form of life insurance an individual can buy. If you’re young and you’re starting out in life, perhaps you have a young family, you probably need a large amount of insurance in order to pay off debt and continue to have your income come in in the event that you pass away. Term insurance is usually sold for periods of five, ten or 20 years, at which time it renews at a higher rate. Term insurance is the cheapest form of life insurance an individual can buy in order to look after their family in the start-out years of your life. Perhaps you have a spouse, you might have a child at home, and you’re the majority bread winner in your family. Term insurance will provide some security to them in knowing that, should you pass away, all their debts would be covered, as well as replacing your income. If you have any questions on term insurance, I suggest you see a local representative in your area.